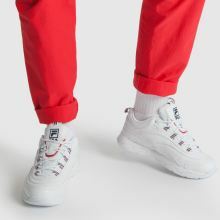 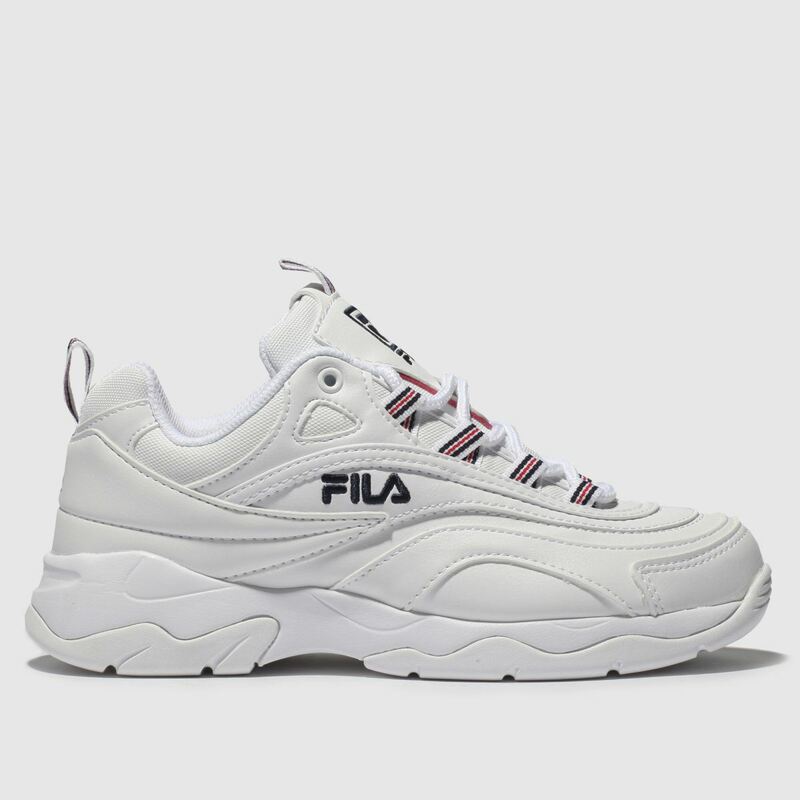 Arriving fresh n' white, the FILA Ray sneaker is sure to soar to the top of your rotation. 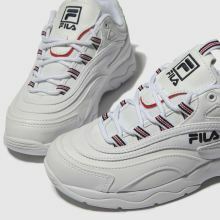 The layered man-made upper gives a retro vibe which is so on-trend right now while 90s branding adorns the sidewall. 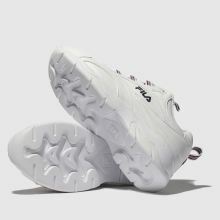 A chunky rubber sole raises the game.